Cerulean Studios announced that the first public beta of Trillian 5 for Windows is now available for download. 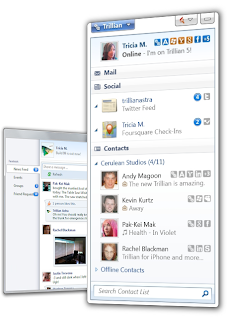 Trillian allows you to keep in touch with friends and contacts on major IM and social networks. 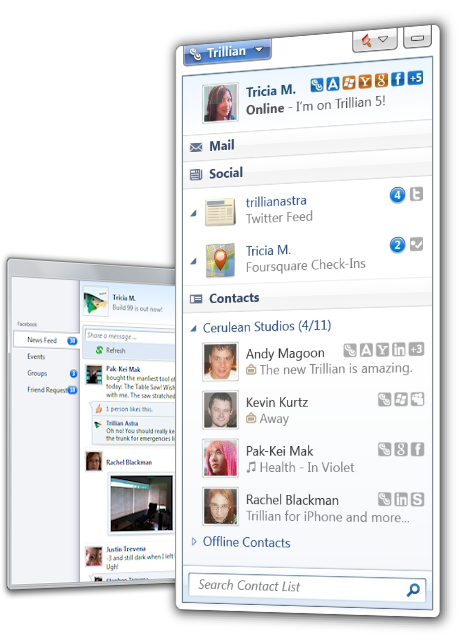 Trillian 5 is a new “major release” and Pro customers will need to purchase a new license at a discount. 30 day pricing protection has been enabled from the point of our first announcement, meaning 30 days before July 1st, 2010. Therefore, if you purchased Pro anytime after June 1st, 2010 you’ve already got Trillian 5. Licenses are still on sale during beta and will return to full price upon final release. Synchronized activity history is not yet ready for this build and will be unveiled in a future beta build of Trillian 5.